Home » About Us » Officers » Nancy N. Charron, Ed.D. 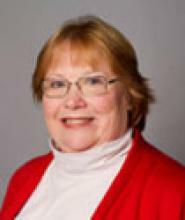 Nancy N. Charron attended the University of Michigan and received a Bachelor of Science degree in Elementary Education and Deaf Education. She received a Masters degree in Teaching Reading from Western Michigan University and a Doctorate degree in Language Arts and Literacy from the University of Massachusetts. She has worked in different capacities at the elementary, middle school, and high school levels with jobs encompassing being a general education teacher, a special education teacher, and a reading specialist. She is currently working as an associate professor at Southern New Hampshire University. She is passionate about working with prospective teachers. Her professional interests include teaching reading as well as working with special needs students and second language learners.